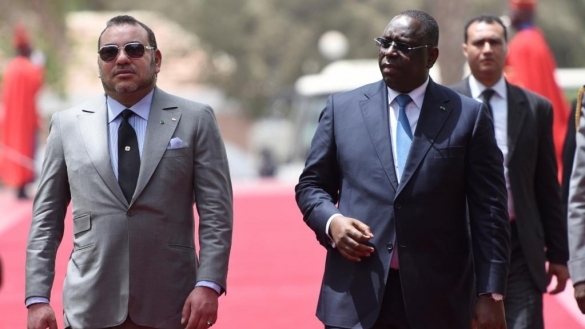 King Mohammed VI has chosen the Senegalese capital Dakar to address the Moroccan people on the 41st anniversary of the Green March as he is set to start an official visit to the West African country on Sunday. “Considering the close fraternal, spiritual and human links between Morocco and Senegal, the special place that Africa represents for the king and Moroccans as a whole and the Sovereign’s high solicitude towards the continent, Mohammed VI has decided to deliver the royal speech to his faithful people on the occasion of the 41st anniversary of the glorious Green March, from the city of Dakar,” the statement said. King Mohammed VI has just wrapped up a royal tour in Eastern Africa that led him to Rwanda and Tanzania. He is currently in Gabon, on his first visit to the West African country since the re-election of President Ali Bongo last August, and is expected in Dakar on Sunday. President Macky Sall of Senegal welcomed as a historic initiative the king’s decision to deliver from Senegal “his historic speech” on “an historic event” saying this translates the trust between the two countries and illustrates the depth of their friendship as well as the strong ties that unite the two peoples. The Senegalese President paid tribute to the King for his attachment to the African continent and hailed his ambitious and farsighted vision for Africa. 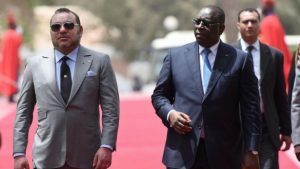 During his visit in Dakar, King Mohammed VI will confer with his Senegalese host and the two heads of state will co-chair the signing of several agreements covering an array of domains. The Sunday visit will be the 8th by the Moroccan monarch in Senegal since ascending to the thrown in July 1999. The Moroccan monarch has embarked on a diplomatic seduction African tour to express the kingdom’s attachment to the continent. The tour and the royal speech from Dakar bear a strong significance, especially that Morocco is set to reintegrate the African Union during the coming summit of the pan-African organization next January. Written by: Jaber Ali on November 5, 2016. Posted by Jaber Ali on Nov 5 2016. Filed under Headlines, World News. You can follow any responses to this entry through the RSS 2.0. Both comments and pings are currently closed.